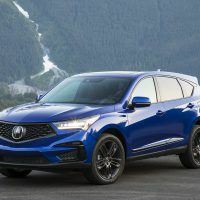 The 2019 Acura RDX gets a complete remodel inside and out, giving the compact crossover jazzed-up styling. 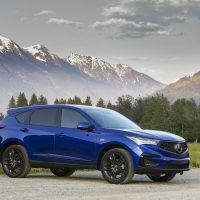 It sits lower and wider for 2019 with a new, five-sided grille it borrows from a concept car. 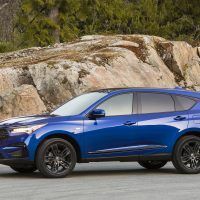 Acura calls the 2019 RDX its sportiest compact crossover yet, and claims the BMW X3 and Audi Q5 better watch out. The RDX rides on a new chassis with 2.6 inches more length between the wheels for more rear legroom. It also gets a new turbo four-cylinder engine. 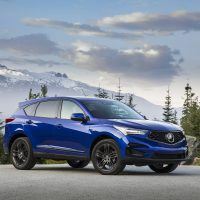 The 2019 Acura RDX AWD A-Spec ($45,500) comes equipped with a 10.2-inch center screen, automatic climate control, Apple CarPlay, keyless ignition, in-car high-speed data, and a panoramic sunroof. There’s also a power height-adjustable tailgate, LED headlights, and 19-inch alloy wheels. The nine-speaker infotainment system comes with USB ports, Bluetooth audio streaming, and satellite and HD radio. 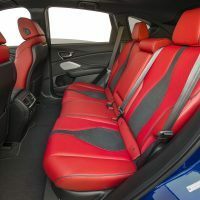 The RDX A-Spec comes with sueded sport seats with red and black or black leather upholstery, blacked-out exterior trim, and 16-speaker audio with ceiling-mounted speakers. The sound is sublime and clean. Finally, add in the 20-inch wheels, 12-way heated front sport seats, and ventilated front seats. Total MSRP including destination: $45,900. Stepping into the new RDX A-Spec reveals a contemporary cabin with high-tech metal trim and a racy two-tone black and red upholstery. 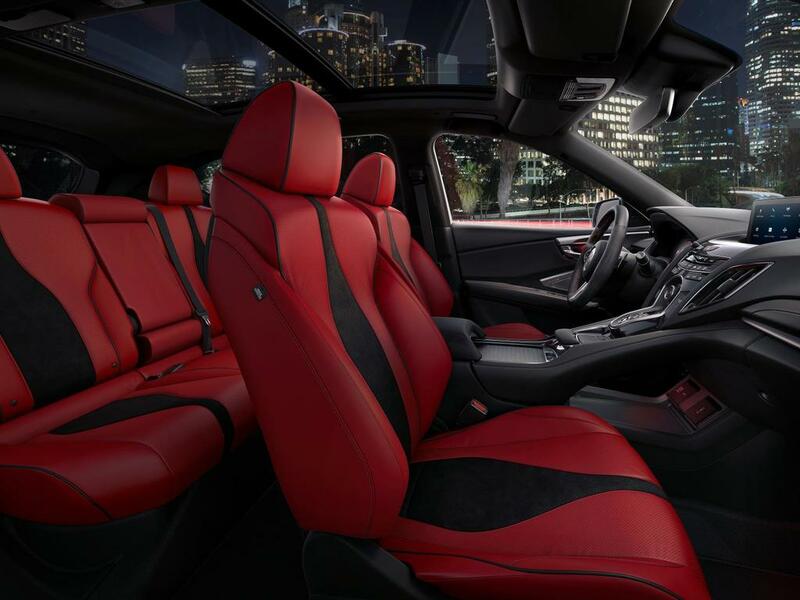 We could get used to these supportive front seats on longer trips in the RDX. It took a little while to get used to the push-button gear shifter, but it does save space up front and provides extra storage in the console. The cabin feels roomy and provides a lot of space for occupants in the front and rear. Taller passengers have plenty of headroom even with the standard panoramic sunroof. The controls are logically placed. 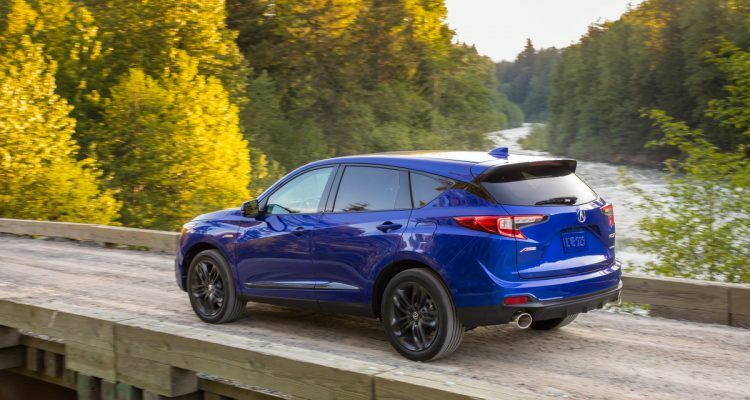 Like most crossovers its size, the RDX provides easy access and exit. Backseat passengers enjoy solid seat comfort even though the rear seats aren’t adjustable. 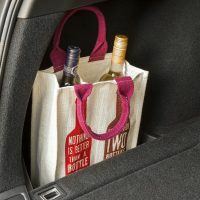 The cargo space is amply sized, and there’s handy in-floor storage back there now. 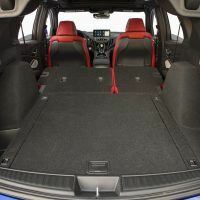 The rear seats fold flat to expand the 29.5-cubic-foot cargo hold to 58.9 cubic feet. 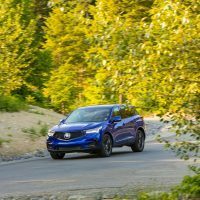 Acura moved the spare tire under the rear, so the RDX has an additional 1.7-cubic-foot compartment below its carpeted deck. That’s enough for a backpack of valuable supplies that should remain hidden from public view. 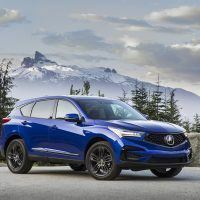 The 2019 Acura RDX is powered by a new two-liter turbocharged four-cylinder engine, producing 272 horsepower and 280 lb-ft. of torque. It comes mated to a new 10-speed automatic featuring steering wheel paddle shifters. EPA fuel mileage estimates come in at 21/26 city/highway and 23 combined mpg. 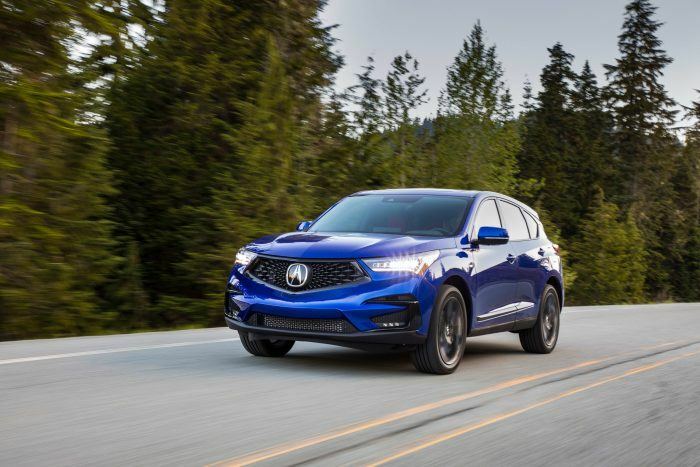 The new turbo four-cylinder engine has the power, and it brings a sporty feeling to the newly-remodeled RDX. 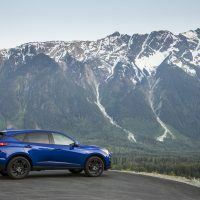 It’s low-end torque gives the SUV a quick jump from a standing start, and it has plenty of power for getting past slower traffic even at high altitudes west of Denver. 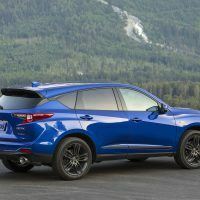 We chucked the RDX around tight mountain curves, as we do with every vehicle we review. It has quicker steering and handling improves over the outgoing model. Driving enthusiasts will like the liveliness and sporty feeling when behind the wheel. Sharper steering and handling make it one of the more engaging crossovers in its class. It easily keeps up with the BMW X3 and Audi Q5 when it comes to driving dynamics. Steering wheel paddle shifters ramp up the driving experience and kept us interested in pushing the SUV a little farther than normal. 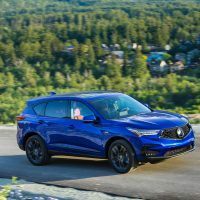 This RDX tester came with the optional Super Handling All-Wheel Drive, an available torque vectoring system often written as “SH-AWD.” This makes the RDX an all-weather capable family hauler, suitable for winter ski trips to the high country. The system can route 70 percent of the torque to the rear improving fuel mileage. The “torque vectoring” comes in how the system splits power left to right, up to 100 percent, to improve handling in bad weather. 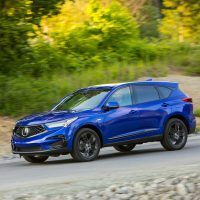 Overall, we like the 2019 Acura RDX for its sharp steering and improved handling in the corners. 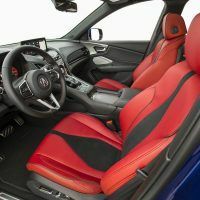 The cabin is quiet and roomy, plus the A-spec adds an extra level of sportiness with its two-tone black and red upholstery. The RDX now has the styling, performance, and prestige to compete in its pricey segment. Add in the SH-AWD system and you’ve got a capable all-weather family hauler. 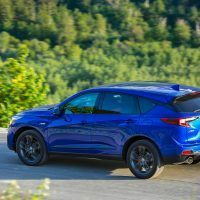 2019 Acura RDX Official Site. 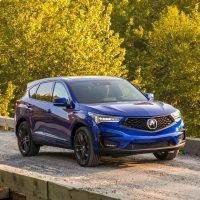 No Comments on "2019 Acura RDX A-Spec Review"